Although the research project is finished, I do still have more family recipes to share with you. So apologies for the sporadic posting, but I will continue to grow this recipe repository, slowly, over time. 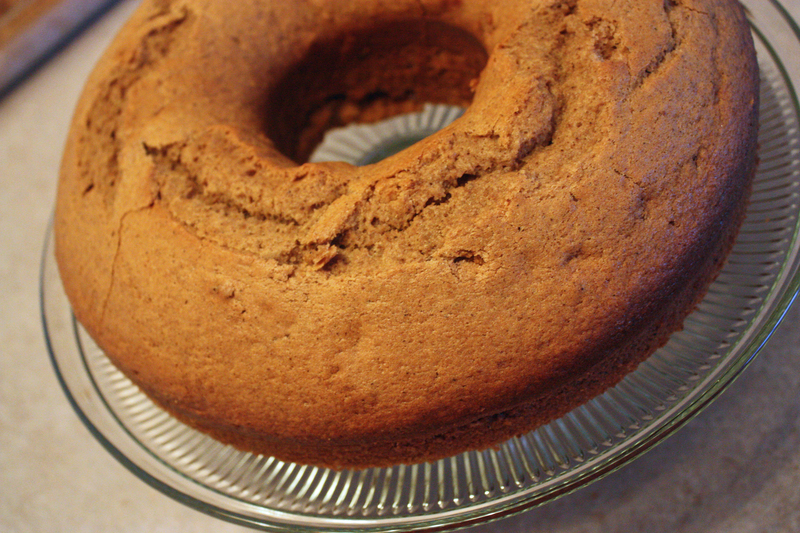 “Koek” is simply “cake” in Dutch and when my parents used it synonymously with this specific loaf cake. My mom often made this recipe for company and served it for guests with coffee or tea. It’s a gingerbread-like cake. Growing up, it was not my favorite—honestly—because it was not sweet enough. Now I appreciate it more. It can be served on its own, with a dusting of icing sugar. It you want to dress it up further, serve it with a chunky, homemade apple sauce or caramel sauce. I made this cake for my parents who don’t bake much anymore. I doubled the recipe and made it in a bundt pan. The original recipe came from a church recipe book that my mom has been using for as long as I can remember. 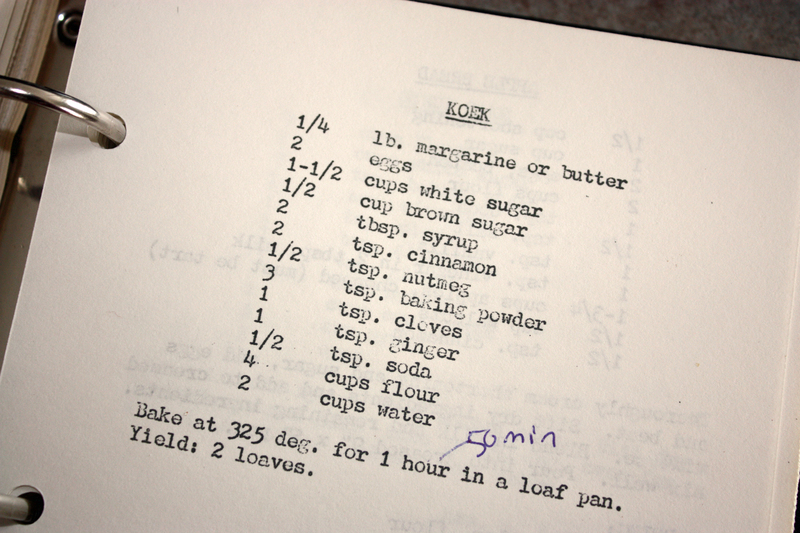 I have my grandmother’s copy and it’s a great resource for old recipes. Prepare a loaf pan with oil and line it with parchment paper. Beat butter, sugars, and syrup. Add dry ingredients to butter mixture in three stages, alternating with water. It will great a soft batter. Bake for 50-60 minutes until loaf is baked through and lightly browned.